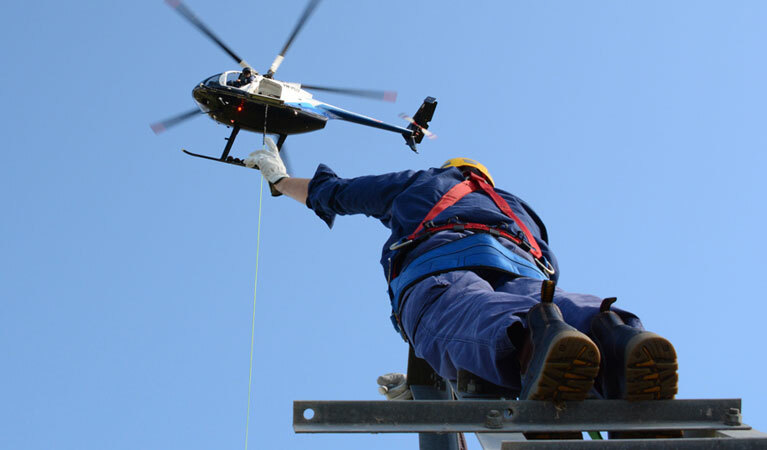 FairLifts schedules comprehensive helicopter lift solutions for companies, agencies, and individuals in Bridgeport, Connecticut. Services include heavy lift helicopters, aerial cranes, pipeline inspections, and executive charters. FairLifts, working with a global network of affiliates, ensures efficient and cost-effective helicopter lift solutions, enabling organizations to meet their project goals. FairLifts also arranges personal executive services, such as business charters, game day shuttles, and private tours. Customer service agents are on hand 24/7 to schedule helicopter lifts, as well as help companies and individuals meet all their professional expectations. Bridgeport, Connecticut, the fifth-most populous city in New England, located just sixty miles from Manhattan, is a historic seaport and industrial city. Currently, the city is home to two of the areas largest hospitals, Bridgeport Hospital and St. Vincent's Medical Center. Emergency medical services are provided by American Medical Response. The city also houses the United Illuminating coal-fired power plant, People's United Bank, and the University of Bridgeport. The city is a cultural and sports mecca, hosting events at Webster Bank Arena. Situated in Fairfield County, the sixth county in the US in per-capita personal income, Bridgeport is also home to numerous residential and industrial construction companies. FairLifts, working with a global network of helicopter lift operators, provides transport, construction lifts, inspections, surveys, scenic tours and executive charters. FairLifts schedules superior helicopter lift solutions for a number of activities in Bridgeport, including construction, heavy lifting, freight and cargo transport, emergency medical services and agricultural or fishing projects. FairLifts arranges complex construction lift solutions, such as heavy lifts, air crane services, aerial oil and gas assistance, and utility services, as well as freight and cargo transport. Other services include equipment and crew transport to remote or inaccessible locations, as well as transport of digging machinery, concrete facilitations, and girders or large stone structure placement. FairLifts schedules heavy lift helicopter solutions, including air crane support for projects in remote or inaccessible areas. An affordable alternative to ground cranes, heavy lift helicopters can heavy materials and equipment into areas with limited ground access and facilitate solutions for projects subject to strict time and budgetary constraints. FairLifts arranges helicopter lifts to provide immediate and discreet transport solutions for sensitive materials and fragile freights. Working with a global network of experienced pilots and superior aircraft, the company ensures the safe and secure delivery of important and classified documentation and cargo. FairLifts schedules helicopter lifts for the immediate transport of patients in need of emergency medical attention. Working with leading medical centers, the company arranges fully-staffed medical helicopters fitted with life-saving equipment and medication.FairLifts also arranges helicopter lifts for non-invasive agricultural solutions, such as yield management, crop health maintenance, hydroseeding, crop dusting, overwatering management and frost protection in Bridgeport. Call FairLifts today to find out more about the catalog of industrial, agricultural, medical and executive helicopter services network operators provide. FairLifts customer service agents are available 24/7 at 1-800-318-8940 to provide superior helicopter lift solutions in Bridgeport. You can also fill in the form on our contact page, and a representative will contact you within 24 hours.